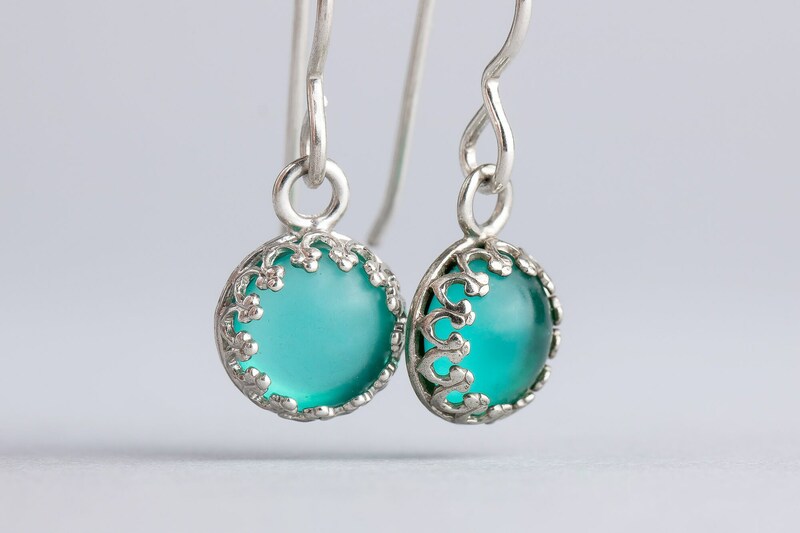 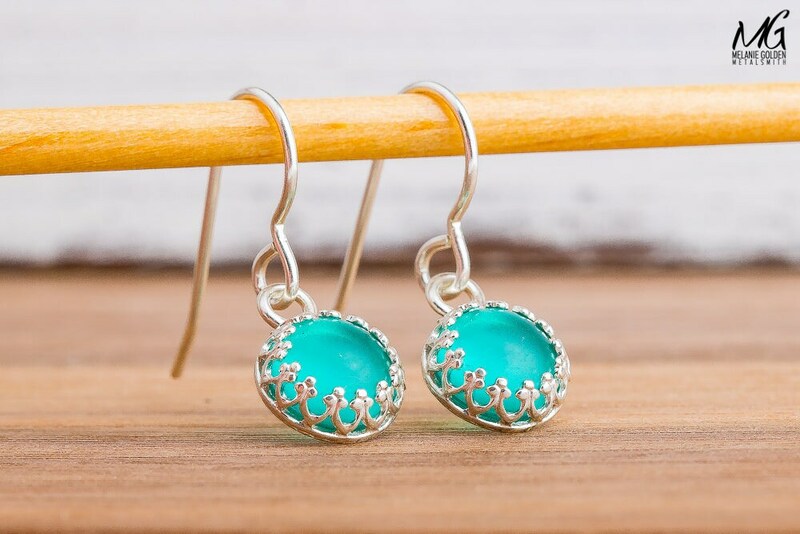 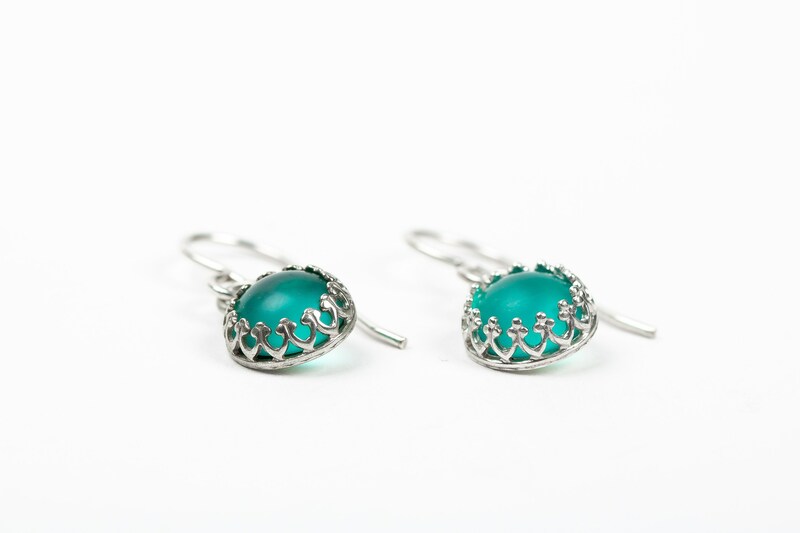 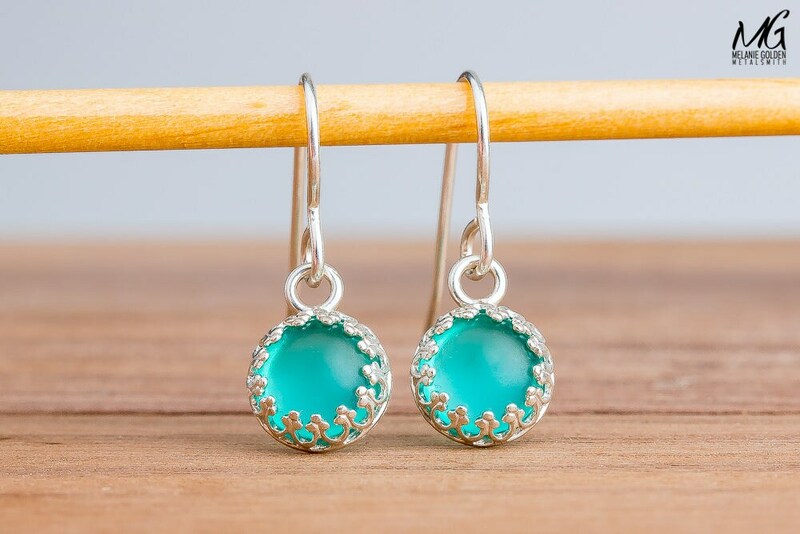 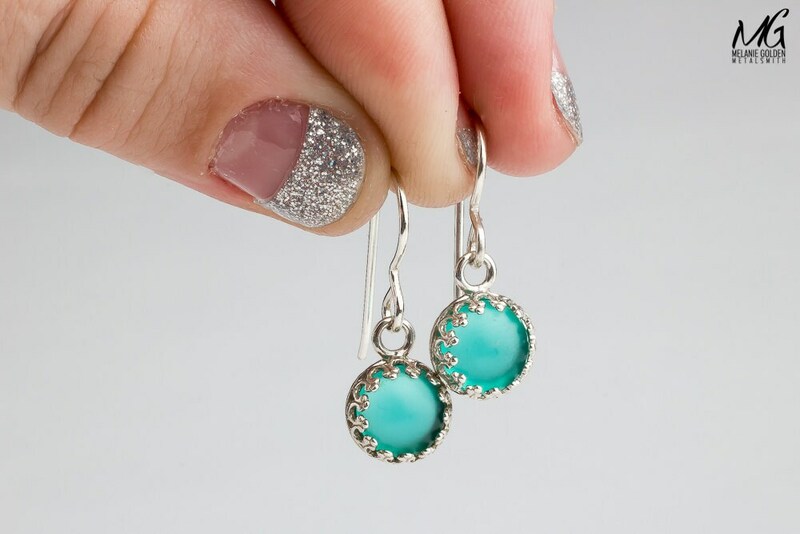 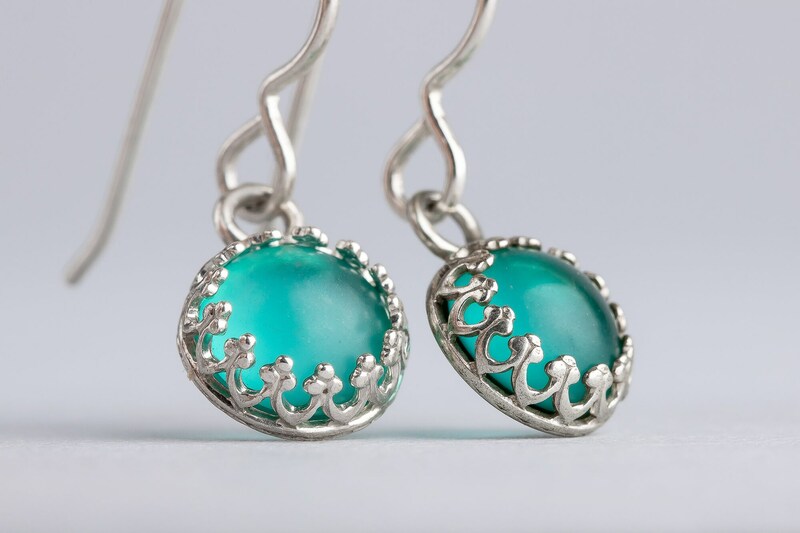 These earrings have been created from solid sterling silver, and have been set with very pretty aqua blue Glass stones. 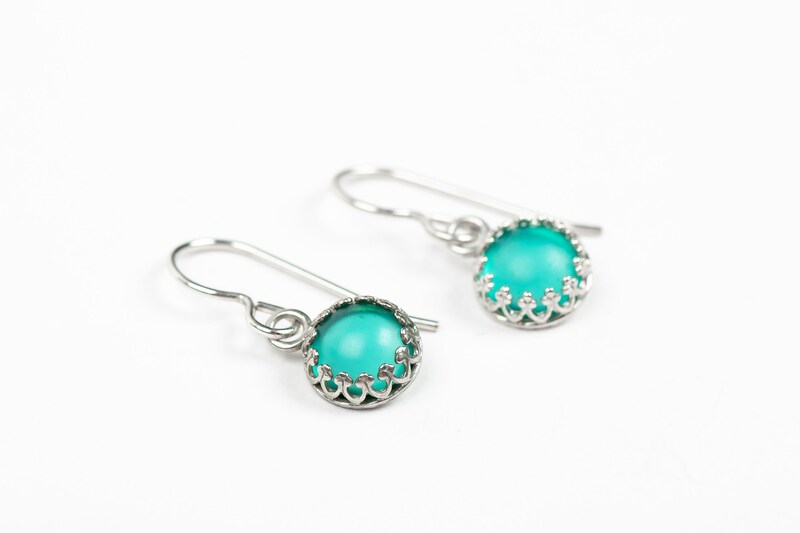 - Earrings measure approximately 1 inch long. 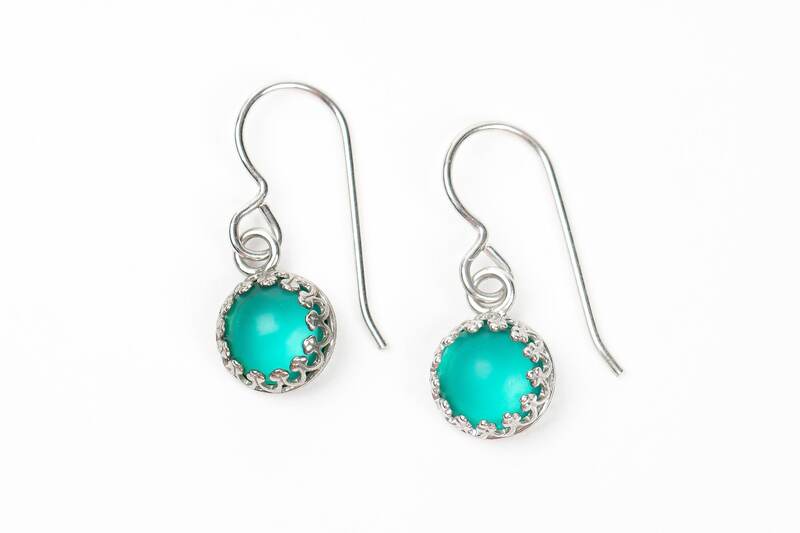 - Glass stones measure 8mm. 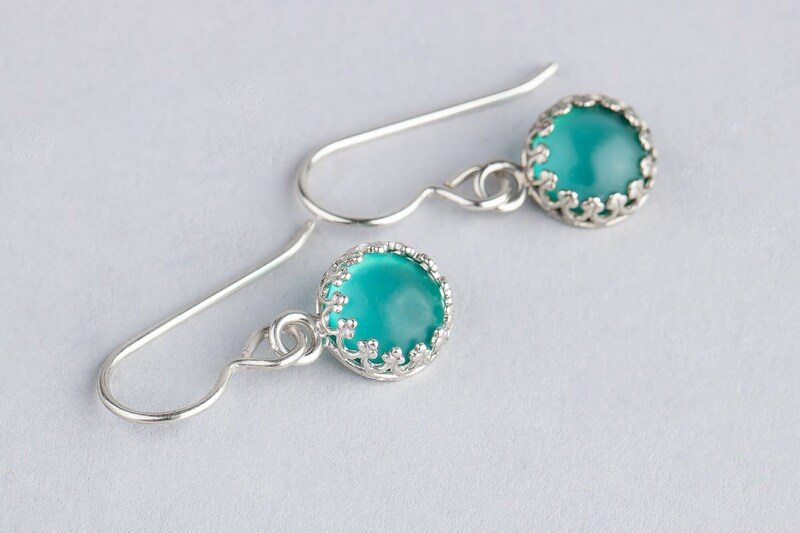 - Earrings are made entirely from Sterling Silver and aqua blue Glass stones.